If anyone had suggested to me a month ago that I’d devote the best part of a sunny summer weekend to watching road cycle racing in preference to gardening I’d have thought them mad! But that’s exactly what I’ve been doing. 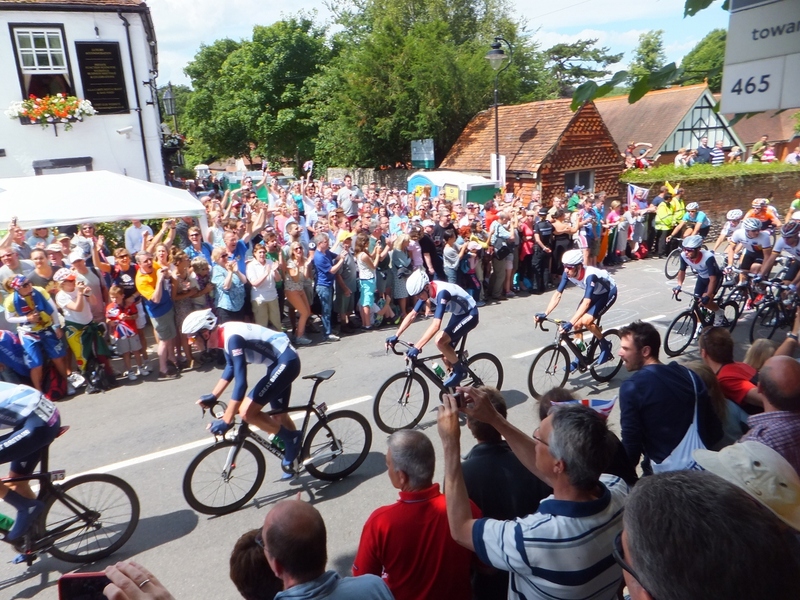 Seeing our boys in the Tour de France was the start, and then having the opportunity to be a part of the Olympics right on my doorstep all for the cost of a train fare was too good an opportunity to miss. 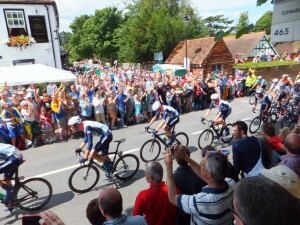 The day on Box Hill was perfect; an amazing atmosphere, great weather, brilliant view and not one, not two, but eight chances to see the action on the loop. Needless to say I was hooked, and was glued to the telly for the entire ladies race on Sunday, despite a hundred and one jobs to do in the garden (and despite what was seen on TV it was actually sunny in Sussex most of the time!). So what can we learn in business and in particular hospitality, leisure and tourism businesses from this surge of interest in cycling and other sports? One of the biggest problems I hear is the concern for a lack of young talent joining the industry. So what can we do to emulate the success of attracting new talent to cycling, athletics, or rowing? There have certainly been some fantastic role models for the next generation. And what an inspiring idea to have youngsters nominated by some of these past winners to light the Olympic flame. But the sports have gone far beyond this; rather than waiting for the young talent to come and find them, they’ve been out into schools to find them. We need to follow suit. And not just leave this to the likes of Springboard. We all need to be doing our bit to fly the flag for the industry and inspire youngsters to want to be a part of it. It won’t happen overnight – most of the youngsters competing for the first time this year have been in training for years. Not all will make it of course, but the earlier we can introduce youngsters to the industry and all it has to offer the more likely we are to leave them with a positive perspective and attract new talent. Parents, teachers, college lecturers, and careers advisers all have a part to play in influencing future careers. What perception do they have of the industry? Let’s do all we can to educate them and ensure that hospitality, leisure and tourism management is given the profile it deserves. Establish ambassadors who can generate the passion. Offer work placements to schools and colleges, and make these fun and informative. Organise ‘A day in the life’ and open days for schools, colleges and careers advisers for them to get a real feel for the roles and opportunities, and a chance to talk to those who do the jobs. Offer work placements for universities that give a structured programme and a really in depth view of the options within hospitality management so once they graduate they stay the course. Feedback from graduates who have experienced work placements in a particular segment of the industry are invariably drawn back to the same disciples on graduation. Without this connection it’s all too easy to stray into other industries if a job of their choice is not immediately forthcoming; potential talent maybe lost to the industry forever. Let’s put on our own show open to all and give everyone a taste and a chance to be a part of this fantastic industry. This entry was posted in Customer service, Leadership & Management, Staff training and tagged careers in hospitality, Caroline Cooper, Customer service, Employee leadership, first impressions, hospitality management, hotel management, Hotel Marketing, Hotel Staff, hotel staff retention, leisure and tourism, staff recruitment on July 30, 2012 by Caroline Cooper. Give constructive feedback -what have they done well and how it has contributed; where they have fallen short and how this can be improved. Communication is a two-way process, not only do people need to know what’s going on, they want to be heard. Daily briefings need to include what’s happening that could affect the operation or the customer experience in any way (e.g. maintenance, staff shortages, unavailable products or services), as well as any feedback from staff on their observations or ideas. Let your team know how the business is performing, and what this means to them. Having a happy and motivated team will not only help you retain your talent and reduce staff turnover, but will lead to better productivity and customer service, maintaining sales and controlling costs. If you want to retain your best people you need to give them what they want. They say that “people don’t leave their jobs, they leave their managers“. Can you really afford to let that happen? This is what the Leading for Peak Performance 29 Day Challenge is all about, and starts on 29th February. Find out more here. This entry was posted in Leadership & Management and tagged hotel management, Hotel Staff, hotel staff retention, managing hotel staff, reducing labour turnover on March 1, 2012 by Caroline Cooper. This entry was posted in Leadership & Management and tagged dealing with poor performance, hotel management, Hotel Staff, hotel staff retention, reducing labour turnover on February 29, 2012 by Caroline Cooper. If the reason they give is more money look to see how your rates compare with the competition (bearing in mind for some roles your competitor for staff may be in totally different industries). But also look at what benefits your staff are getting that they may not be getting elsewhere and ensure people are aware of everything that makes up their package. This entry was posted in Leadership & Management and tagged dealing with poor performance, hotel management, hotel staff retention, managing hotel staff, reducing labour turnover on February 28, 2012 by Caroline Cooper. I was at hoteliers’ meeting recently, where one of the topics of conversation was finding good quality staff, in particular chefs. We already know that there is a lack of new talent entering the industry so it’s important that we hang on to our best people. The hospitality industry has always had one of the highest labour turnover rates in all sectors of the economy, so are we just deluding ourselves if we think we can beat that trend? In an ideal world some kind of confidential exit interview should be conducted and wherever possible this is best done by someone other than a line manager. Let’s face it, if the reason is it’s poor management or leadership that has prompted the move, it’s unlikely that you’re going to learn the whole truth if the line manager is asking the question! The saying goes people don’t quit jobs they quit bosses. But even if your staff structure doesn’t allow for this it is important to find out as much as possible about people’s motives for leaving. This entry was posted in Leadership & Management and tagged hotel management, hotel staff retention, hotel staff training, reducing labour turnover, staff training on February 27, 2012 by Caroline Cooper. This entry was posted in Leadership & Management, Staff training and tagged Employee leadership, Giving feedback, goal setting, hospitality management, hospitality staff induction, hotel staff retention, hotel staff training, Leadership and management, managing hotel staff, restaurant staff training, staff training, Team meetings, training reducing labour turnover on July 8, 2011 by Caroline Cooper.